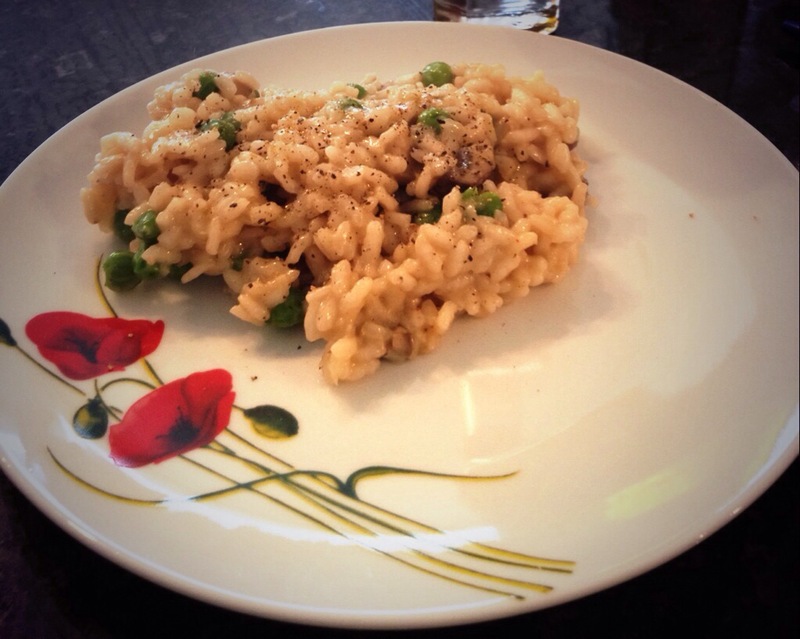 The best thing about risotto is that it is almost infinitely versatile. 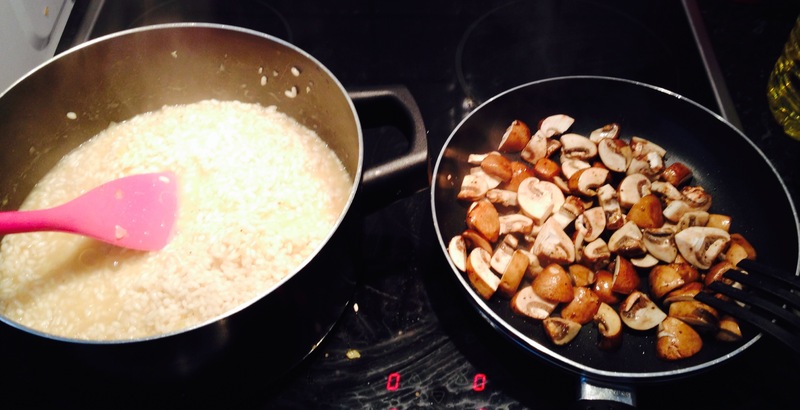 As long as you have arborio rice, some form of wine and stock, you can pretty much add anything else you have and it will turn into a rich, delicious dish. I’ve previously blogged about a cream cheese, salmon and green bean risotto as well as one with bacon, mushrooms and spinach. Today’s is slightly different as I had some leftover rosé wine in the fridge and wanted to find out what would happen if I used that instead of the usual white. Verdict: It makes no difference! I’ve made red wine risotto before, where the flavour of the wine really shines through, but rosé has just the same effect as white. Anyway, it was good to use up the bottle and the final product tasted absolutely wonderful! I’ve recently decided that I need to use my truffle oil more, and that finishing drizzle is what made the dish go from yummy to drop-dead delicious – so if you have any, don’t save it for later. Use it now. In a large, deep-bottomed pan, melt the butter and fry the onion and garlic on medium-high heat until softened and translucent (around 4-5 minutes). 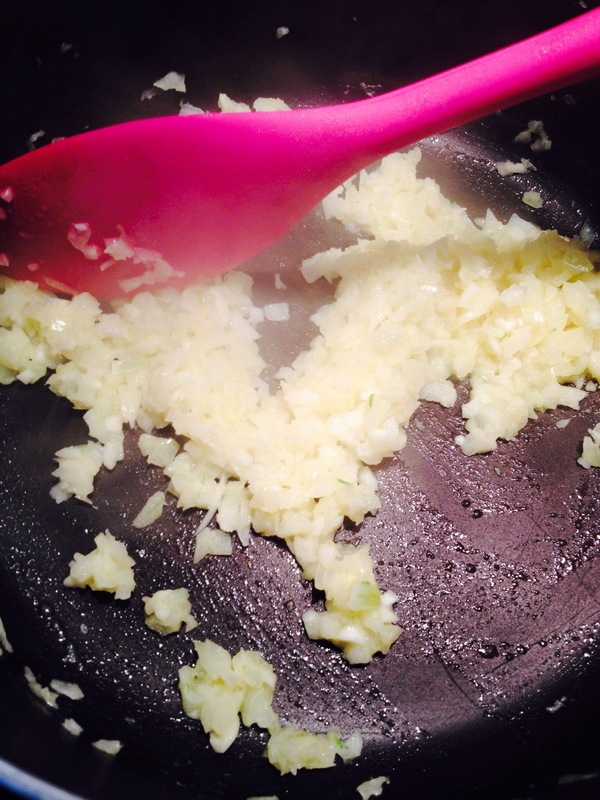 Stir in the rice until it is coated in the mixture and turns a little translucent (2-3 minutes). Add the wine and stir until it has evaporated. Then add the stock bit by bit, stirring as you go (I added about 300ml at first and then 100ml at a time, once the liquid had disappeared). During this time, add the garlic powder, chili powder, pepper, Creole salt and paprika. Meanwhile, in a separate frying pan, heat the olive oil and fry the mushrooms with a bit of salt and pepper until the released liquid has evaporated. Add the peas, stir for 1-2 minutes and then turn off the heat. The rice should take around 25-30 minutes – taste and make sure it is done. Then add the soy sauce and stir in the mushroom and pea mixture along with the grated mozzarella. Add any spices necessary to taste. Serve with a drizzle of truffle oil and some freshly ground black pepper. Enjoy!